I wasn’t going to write this post at all. You see I promised my Dom I would never use this blog to communicate with him, that I would always discuss things with him directly. The trouble is right now, he isn’t communicating with me. Still I wasn’t going to write about my feelings here but I need to get them out. I was telling a friend about my blog, and how I was having a hard time writing anything personal, because of how I am feeling. Her advice to me was “Beccy, open your heart & express your feelings there. It isn’t always about him, it has to be about you too. You’re writing for you, and if he is the man for you , he has to love you as you are , and know and handle your pain.” So here I am, I’m not writing this to him, as I don’t think he even reads this blog any longer, and hasn’t for a few weeks. I’ve been hiding my feelings, mainly from myself, but I guess from him too, to some extent, for weeks now. But I can’t pretend any longer that all is well in our relationship. I guess we’re at a crossroads, or a crisis point, or maybe even the end of the road. I hope it’s not the latter, because I want this to work more than anything. I want to have faith, to trust in him, but sometimes it’s just too hard. Besides, faith is hard to come by when you’re in a vacuum. I want to believe that it’s just that his life got super busy, cutting down the time he has for me. That the steady drop off in contact is because of the pressure he is under at work, and it probably is to some extent. I’m trying to be understanding, and to be patient. Trying very hard to think about him, rather than how this makes me feel, but I’m struggling. I’ve experienced such a range of emotions over the last few weeks. First there was surprise, the first few times he wasn’t there when he said it would be, but that changed to resigned acceptance. The hope when I would check my emails, expecting to have heard from him, and the disappointment when my inbox would be empty. Then we’d get some time together, and it would be great, he’d be the Dom I knew again, but those times were cut shorter & shorter. My bursts of optimism were short lived, and I’d veer wildly from hope to pain. 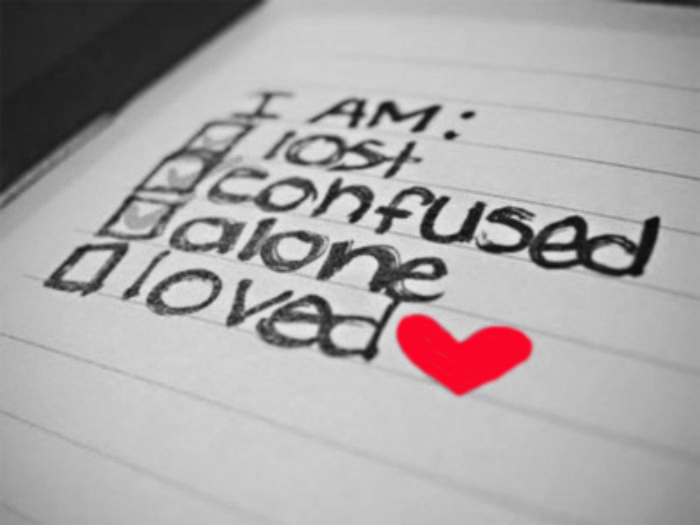 I guess now I just feel confused, lonely & sad. I’m confused because his words aren’t matching his actions. Even fairly recently he has talked about the future, about there being an ‘us’, but I’m finding it harder & harder to believe him when he isn’t here. I miss him desperately, but I’m coming to realise I am missing what we used to have, not what it had become over the last few weeks. I’m pining for that amazing connection I felt with him. Clinging to the submissive he saw in me. I liked her, I liked being her, but I feel a lot of the self doubts he helped me banish creeping back in. Was it something I did or didn’t do? Wasn’t I good enough? Could I have given him more than I did? There’s a new emotion in the last couple of days too. It’s creeping across my mind insidiously, unwelcome, but perhaps it’s what I need to get through this. You see now I’m getting angry. What did I do to deserve this? Oh I know it’s not all about me, but right now I don’t know the how or why for him, because he won’t tell me. So I can only feel for myself. And I’m pissed off! He had a responsibility to me as a friend, let alone his submissive. I laid myself bare for him. I gave him whatever he asked of me and did so willingly. My friends think I’m crazy, because I still hold out some hopes for him & I, still consider myself to be his, though I’m starting to doubt that he wants me. It’s getting harder & harder to defend him to them too. They’re mad at him because they see my pain, but their anger doesn’t help me. I don’t know, maybe I’m a fool for believing he wouldn’t do this to me. That there has to be a really good reason for him to treat me this way. That what we shared meant as much to him as it did to me. That even if he did decide our relationship had run it’s course, or he didn’t have time for me any longer, he would talk to me no matter how hard it was for us both. Then I could explain to him it’s not more time I need from him, it’s for him to communicate with me. To be open & honest about what’s going on in his head, as he’s always demanded & received from me. But I do still believe in him. I believe in his integrity, his honour, his honesty as both a man & a Dominant. I can’t do anything other than believe these things, for to doubt them would be to doubt everything we shared, and I will not do that! I don’t know what will happen between us. I don’t know if we can recover from this. If I can ever trust him how I once did, & rely on him being there for me. If he still wants this, and we both work at it I think maybe we can. If it isn’t to be I’ll accept that, and with time move on. I will never regret our time together. He’s the man who opened my eyes to how amazing D/s could really be between two people. He taught me a lot, but most importantly he showed me that what I always dreamed of having is possible. No matter how much this hurts right now I’ll always be grateful to him for that. I just wish I didn’t miss him so damn much. You have every right for every emotion you feel right now. Even if there is a good reason for all of it. D/s only works because of communication and if all is ok and this is just a bump, he should at least communicate with you. I hope that’s all this is. I wouldn’t wish the heart break I’ve felt on anyone. Whatever it is, please try not to let your self-doubts take over (I know, easier said than done), and if you need someone to talk to, I’m available (kaylalords@gmail.com). You deserve the BEST !!! !